Game Shows - Corporate Events, Business Meetings, Parties and More! Are you tired of the same old "been there, done that" party or team building session? Looking for something different? 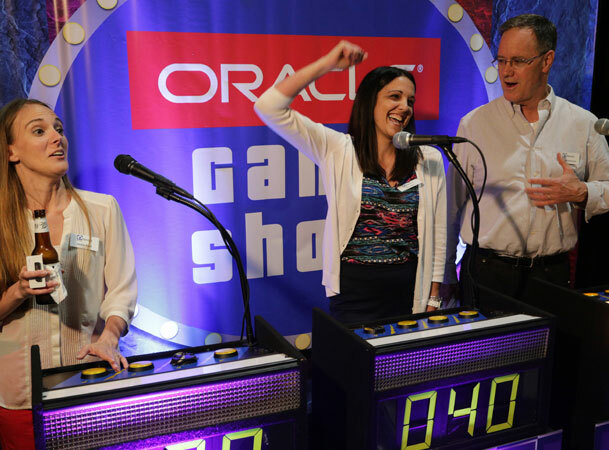 The popularity of TV game shows has created a significant demand from corporate clients for game shows at company picnics, banquets, holiday parties, corporate events and training sessions. Our game shows are designed to promote communication, energize teams, stimulate problem solving and build morale. Most importantly, the are a lot of FUN! Over the last twenty years, we have continued to develop and improve our game show "sets" and systems, which have the look and feel of a real TV game show. Our company is dedicated to providing high quality game shows for corporate events. Our expertise in this field provides our clients with a first-class show that includes: impressive lighting; professional game show themed props and furniture; high-tech game show software; talented game show hosts and knowledgeable support staff that have the planning skills and experience to make your event a huge success. Our professional event planners can work with you to customize the trivia to meet your company needs, or, we can provide our existing entertainment themed trivia. Stand out at your next trade show or event. Are you looking to create a display that invites potential clients into your booth? Our professional game shows are perfect for creating interest and generating energy around your trade show exhibit. We can customize the trivia around your products and services, and invite show attendees to play a TV style game show. The players will learn more about your company, without feeling like they are being "pitched" or pressured. Pop culture trivia can be incorporated with your custom trivia to create an exciting exhibit! We suggest offering prizes for the people who play the game show in your exhibit. 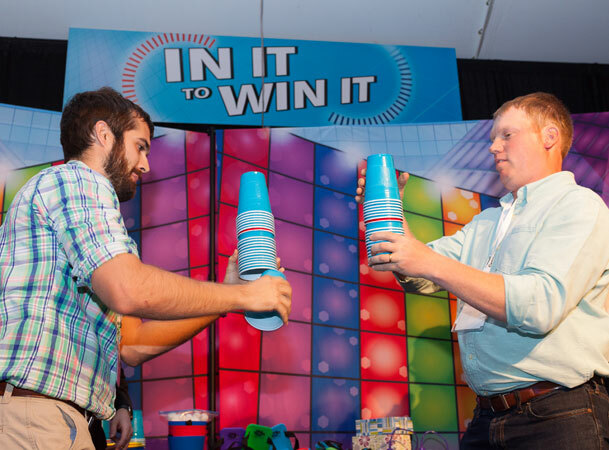 Trivia games can be scheduled to be played twice an hour (as an example), or can be played as frequently as your exhibit staff can direct people from the trade show floor to the game show. Game Shows that build strong foundations. Corporate trainers and instructors have long known that team building games are an effective teaching tool. Our professional game show systems are designed to take that concept to the ultimate level. 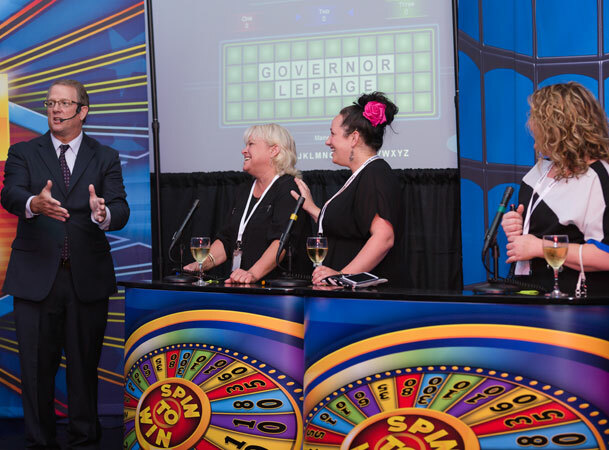 As soon as they enter the room, your employees and staff will be impressed with the visual excitement our game show set brings to your event. Our trivia shows and team challenges are designed to promote communication, energize teams, stimulate problem solving and build morale. 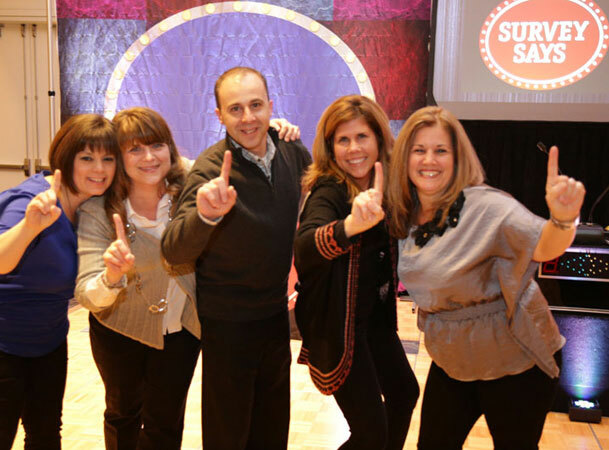 We offer multiple game show formats that are specifically designed for employee training. Our game show hosts are all experienced presenters and instructors, and can offer suggestions about the pros and cons of each game format. We can also assist you with the best way to write customized trivia questions about your company's policies, products and workplace procedures. Equally important, we can identify things to avoid, to ensure that your trivia questions are presented flawlessly at the event. Our game shows have also proven to be effective tools that allow you to see areas of weakness, and identify topics for future training. We can create game show "sets" with custom printed signs, facades and banners. Adding your company name and logo to our game show software applications. Customized trivia about your products and services. Custom imprinted prizes and promotional items such as coffee mugs, t-shirts, USB thumbdrives, etc to maximize your brand awareness. Are you looking for something different or unique to energize your company? 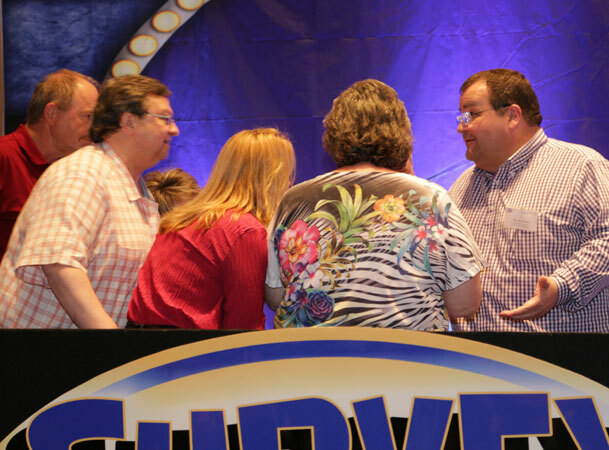 Our game shows are designed to build morale and strengthen teamwork. We can use our stock pop culture trivia, or the trivia can be customized around your company's products - or a combination of both! Looking for a New Way to Showcase a Product or Service? 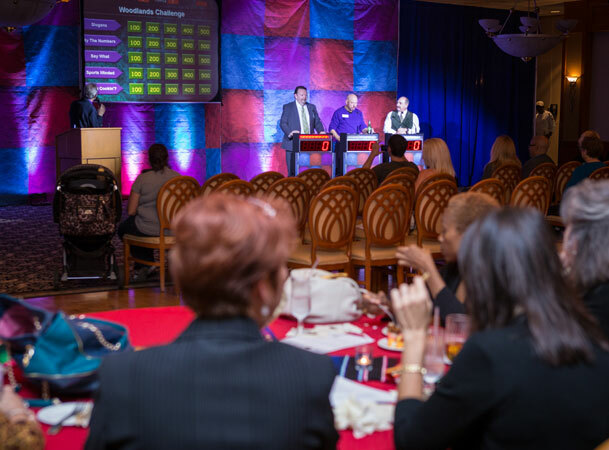 Our experienced game show event planners can provide you with ideas and suggestions to incorporate your products and services into a game show format. Many of our clients book our game show production services to treat their staff to something special. Our game show sets are visually exciting, with the look and feel of a real TV game show. They are effective tools that will build camaraderie and foster team spirit and collaboration.